Paradise Air Inc is proud to serve the Dallas community! About Dallas, TX - Happy to be your hometown Heating & Air Conditioning Contractor! Dallas is a major Texas city located primarily in Dallas County, and with its population approaching 1.3 million residents, it is the third largest city in Texas. It is also ranks 9th in the country in terms of population. 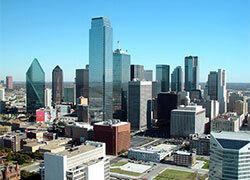 This city consists of three main neighborhoods: Central Dallas, East Dallas, and South Dallas. Additionally, there are many different districts in the city that have their own unique culture, including Lakewood, Highland Park, Bishop Arts, and Love Field. As a center for education in the south central portions of the U.S., Dallas is home to the University of Texas Southwestern Medical School, the University of North Texas at Dallas, Dallas Baptist University, and several other schools. This region is known for being one of the hottest places in the U.S. during the summer, and winters are often mild to warm. As one of the top 10 largest cities in the country by population, Dallas is home to a variety of attractions. Some of the most notable cultural centers include Highland Park Village and the Dallas Arts districts, and many people enjoy checking out the Cathedral Santuario de Guadalupe. Performing are pleased with the Morton H. Meyerson Symphony Center, Kessler Theater, and the Winspear Opera House, all of which are located in Dallas. The Dallas World Aquarium and Dallas Zoo are also great kid-friendly destinations in the city.